The awards show was hosted by Bollywood actor Vivek Oberoi and attended by leading figures within the UK-India space. 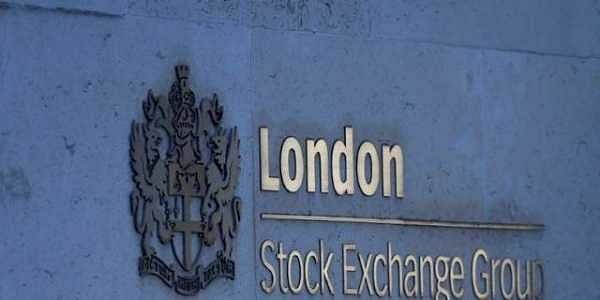 LONDON: The London Stock Exchange's role in the listing of numerous 'Masala Bonds' to raise funds for India's infrastructure needs and Standard Chartered Bank's corporate social responsibility projects were among the big winners at the UK-India Awards in London. Last night's awards, which concluded the UK-India Week, also included a special Global Icon Award for Bollywood star- turned-businesswoman Shilpa Shetty and a Significant Contribution to UK-India Relations Award for British Council India. We are doing all we can to boost our links with India. Not just in the fields of business and commerce, but across our cultural and creative industries too, said London Mayor Sadiq Khan, the guest of honour at the event. Whether it's a love of Bollywood or Biryani, cricket or Kabaddi, I know our relationship today is rooted in our shared interests, our shared values and our shared way of life, he added. While London Stock Exchange bagged the State Bank of India (SBI)-sponsored Financial Services Organisation of the Year award, Standard Chartered was presented with the Social Impact Project of the Year by British Asian Trust. Other big winners at the awards, now in its second year, included Manchester India Partnership as Trade and Investment Promotion Organisation of the Year, Trilegal as Law Firm of the Year, and Sannam S4 as Consultancy Firm of the Year. The Partition Museum in Amritsar won the Media, Arts and Culture Award, and Carbon Clean Solutions bagged the Science, Technology and Innovation Award. Pat Saini, Partner & Head of Immigration at Penningtons Manches LLP, was named Professional of the Year for her outstanding contribution to UK-India ties and the UK-India Deal of the Year was awarded to Indian Renewable Energy Development Agency (IREDA) for the first Green Masala Bond by a financial institution. The UK-India Awards  organised by UK-based media house India Inc  are held annually to celebrate "innovative and path-breaking individuals and organisations" making a significant contribution to the bilateral partnership. The winners are selected by a judging panel of leading experts in business, technology, media and international trade and politics, this year including Bharti Enterprises' Sunil Bharti Mittal, Chair of the Commonwealth Enterprise and Investment Council Lord Marland and former UK minister Priti Patel, among others. While we can never possibly recognise everyone driving this partnership forward, it is vital that we celebrate the most impressive, outstanding and inspiring work to strengthen the bond between our two nations, said India Inc, CEO Manoj Ladwa. The awards show was hosted by Bollywood actor Vivek Oberoi and attended by leading figures within the UK-India space, including UK Foreign Office Mark Field and London's Deputy Mayor for Business Rajesh Agrawal.